Do you know Coming Soon andMaintenance Mode page have the different purpose? Before using these plugins, I recommend you to read the following paragraph carefully. This will help you to use perfect page for your new and old website. I am going to describe details when you need what type of pages to present your homepage to the audience. Maintenance Mode means, you are doing something with your site so that you have to showcase a Maintenance Mode page. Inform your visitor about what you are doing and tell them to come back later. You can also put an E-mail subscriber form, this will help you to get a full list of which people loves to get notification from you. When your site is ready, just mail them. This page works for the old website. Suppose, you have a real estate site and need to update your list. Then you can choose Maintenance Mode Page for your visitor. After reading about Maintenance Mode, hope you can realize that Coming Soon Page is only suitable for the new sites. At the first launch of a Website, you have to showcase a coming soon page for the visitors. As you haven’t come yet into the Web World you have to use Coming Soon Page. It’s a great fact for SEO specialist that Matt Cutts have said that, Coming Soon page are perfect for a new website and this is SEO friendly too. Firstly, I want to say that- Kite is a paid Coming Soon Plugin. The HTML Version is available for free. Kite is my first recommand for you, if you like to use a pro plugin. It provides 4 section in your Coming Soon or Maintenance Mode Page named Home, About, Subscribe, Contact. The powerful options panel helps you customize it’s functionality. Sunrise is a modern Coming soon and Maintenance Mode WordPress Plugin. 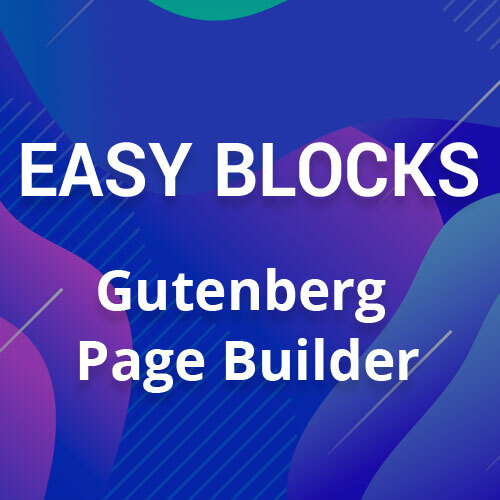 This plugin helps you to create a coming soon page within a few minutes. Just install and active this plugin then make your own Coming soon Page. It has some awesome features like Responsive Design, Compatible with the latest version of WordPress, Works with any type of WordPress Theme and so on. No programming skills required for working with this Plugin. Collect subscriber and inform get in touch with them via a special message. IgniteUp is a popular plugin for some WordPress user. Visible Under Construction mode to your all audience and tell them something special about your website and business. Create a simple landing page or coming soon page for your Website maintenance time. This system helps you to get contact with your audience. Don’t stop to collect subscriber while your site is in maintenance mode. Login your lovely WordPress site and work without any risk. When you work your visitor will see a special Coming Soon page. You can express something awesome word to your visitor via coming soon page. Quickly and easily set up a new coming soon page into your WordPress Website. This is very simple and flexible Plugin for WordPress Websites. Each logged in user can see everything but the visitor only can see the coming soon page. Create a Maintenance page with a special slogan of your website. This will help you to collect more subscriber for your business. It is very easy to use. The Non-technical person can easily work with this plugin. This is one of the best Under Construction Plugin for creating a Maintenance Page. This Free plugin packed with 5 Responsive Landing Page Template. Select any one of them and design your own coming soon page. This is a minimal Coming Soon and Maintenance mode plugin. This plugin provides a minimal look. Tell your user about your works simply. You will get the full control for design your own coming soon page. Make your site online to offline and offline to online with a single click. When your site is offline, you can visible a coming soon page for your visitor. Tell them to come back within a few time or you can put a great slogan related with your website. If you think that creating a coming soon page into WordPress is not so easy, you are wrong. Now creating a maintenance mode page is super duper easy. Use this plugin and create a coming soon page for your website within a few minutes. Design your page with a powerful option panel and make it visible to your visitor when you are busy with updating your website. This plugin comes with default professional Template. Just customize this template with your content and logo. It’s very simple and easy to work. Create an amazing Launch page / Coming Soon page into your WordPress Website. Just install and active this plugin then set up your Page Title, Description and you are done. It works with any type of WordPress Theme. Logged out users only see the coming soon page if you enable it. It is a better idea if you inform your visitor that you are working now and also inform them to come back within a few hours or days. This Coming Soon WordPress Plugin is fully Responsive and perfect for every WordPress lover. There is some built-in background image or you can upload your own too. You can preview this from admin panel too. Modern, Beautiful, Responsive and full width professional coming soon page is available for free now. Use Aitasi WordPress plugin and show your visitor that you are now on Maintenance Mode. Invite then to come back within a few time or later. Show greetings to your visitor via a coming soon page, while you are updating your website. Update and works into the live server and the logged out user will see only the coming soon page. Let’s visitors know, your website or blog is down for maintenance.Also tell them the reason for maintenance and request them to come back later. 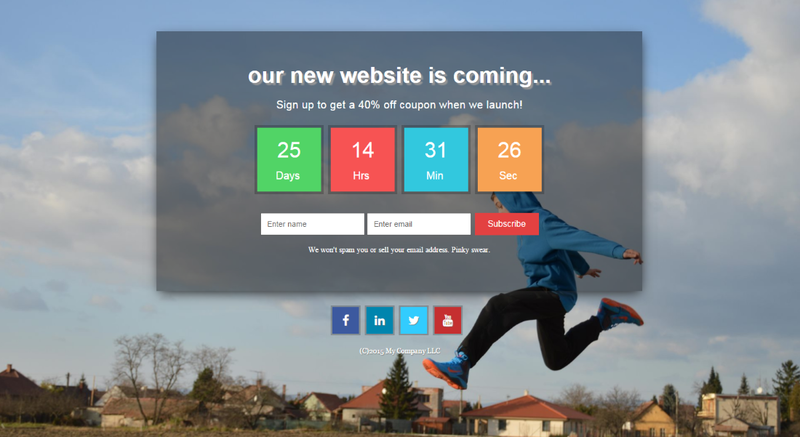 Countdown helps you to add a timer for informing visitor when your site come back again. You can add your own branding logo in the maintenance page. The maintenance page is fully customizable. Customize everything with your content and images. Hide your full site when you are working with your site. One click can visible or hide your site within 2 seconds. At first design a better maintenance mode or coming soon page. This page will be visible when you are working into your server. You can also add your Analytics code to track how many visitors you are receiving. This plugin provides the WordPress site Administrator close website for maintenance. Set a temporary page with authorization. This page can be edited with the plugin settings. This Responsive plugin provides a better design with full customization. This Plugin Compatible with any WordPress Theme and Fully Responsive. Customize the message and background image of coming soon page. You can include custom CSS and HTML easily. This is a free Coming Soon WordPress Plugin. 8 Degree developed with all the necessary section for Maintenance mode page. You can easily set background color or images, Text configuration, Email Subscription, Social Media and so on. That’s enough for coming soon or maintenance mode plugin. Here you will get all popular and best free and paid plugin. If you need any help for installig or working with this plugin, contact us. Previous Post5 Common WordPress Theme Errors Need to Troubleshoot	Next PostFix Yoast XML Sitemap 404 Error Problem? Thanks for listing amazing free WordPress coming soon plugins. Thank you for such valuable information and for providing such wonderful articles.